One of the top selling agents along the Namibian coast, Susan Curtis Estates, joined Entegral to be their real estate technology partner and provider. This award winning real estate agency boasts with real estate agents with years of experience in the industry and together with her team, Susan Curtis established an agency that specializes in the selling and renting of property along the coastal towns of Swakopmund and Longbeach in Namibia. Being in the business for many years, Susan and her team understand that the image you portray to the general public is of utmost importance. They made small changes and added a personal touch to their corporate identity that now clearly showcase their impeccable taste and knowledge of their market. With their valuable input, it was easy for us to create a responsive designed website, based on our Elegant Flex Theme, and incorporated their vision in to the template. After much planning an easy to navigate, informative and beautiful website was launched. Entegral Technologies' Office Management System caters for both South African and Namibian estate agents. The system allows you to capture your stock, manage and advertise them on MyProperty South Africa or MyProperty Namibia. 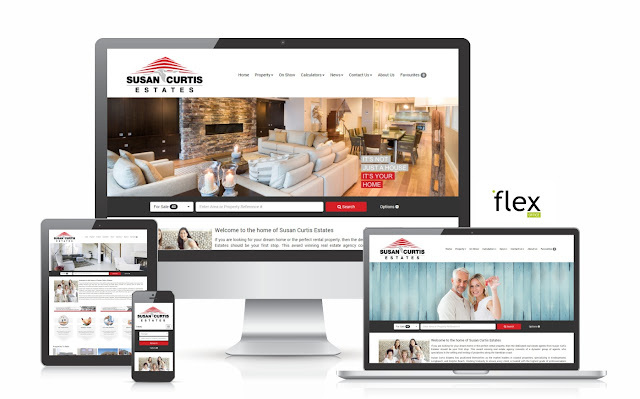 Real Estate agents from South Africa or Namibia are also able to have their own company websites set up like with Susan Curtis Estates.